At Kingpin Car & Marine Audio, the DNA of the company is firmly rooted in creating an amazing and unforgettable listening experience in the car. In a time where cheap ear buds and headphone jack connections are prevalent in many cars the road, Kingpin’s approach is polar-opposite, yet flexible too. They thoughtfully integrate the latest technology with a degree of expertise that is unequalled in the Portland area, and much of the country. Kingpin’s car audio installation philosophy is ease-of-use, high reliability and unforgettable, life-changing sound using digital signal processing technology, expert calibration and tuning as well as a thorough, personalized consultation before one piece of equipment is recommended or installed. Once you hear Kingpin’s signature sound demonstration room and on-site vehicles, you’ll wonder how you ever got by with your car’s standard sound system. All that remains is letting the Kingpin experts do what they do best; deliver remarkably entertaining sound in your car! Dashboards and electronics in modern vehicles are highly integrated and evolved. There’s almost no reason that, for an initial improvement, you need remove the in-dash stereo supplied from the factory. This is a counter-intuitive thought-process for many consumers who have been led to a stereo replacement as the first step in their path to incredible car audio. The fact is, Kingpin’s experts can utilize and enhance your factory supplied in-dash car stereo with vastly improved sound and additional features, such as Bluetooth hands-free capability, satellite radio or auxiliary inputs from an iOS®, Android™, Windows Mobile®, Kindle® or other portable device. Kingpin’s technicians can also achieve greater flexibility of operating the system for how you choose to enjoy your audio experience. Digital Signal Processing – Using the latest technologies in Digital Signal Processing (DSP) equipment and integration techniques, Kingpin’s installation technicians can utilize the factory stereo’s signal as a foundation for an amazing audio system upgrade. The flexibility of DSP, combined with the expertise of Kingpin’s leadership in factory audio integration, allows for correction and enhancement of anything in the audio spectrum that the factory system’s audio signal lacks. Put simply, Kingpin knows how to leverage technology to create an amazing audio foundation from the factory stereo already in your vehicle. Inputs of All Kinds – If your factory stereo lacks new technologies like satellite radio, Bluetooth, GPS navigation, auxiliary inputs or a video playback capability, chances are Kingpin’s experts have a tasteful and integrated solution to add those features in an easy-to-operate manner. Increase Volume Capacity – Nearly all factory-installed audio systems lack the ability to achieve sufficient volume to sound pleasing to the ear, even if they did sound good. Kingpin’s expert system designers and installation technicians can recommend appropriate upgrades for amplification that either compliment the factory-installed speakers or that pair well with an amplifier and speaker system upgrade approach. Either way, you’ll smile instead of cringe when you turn up the volume. Enhance Sound Quality – Enhancing the overall quality and excitement of the car’s sound system is Kingpin’s advantage. 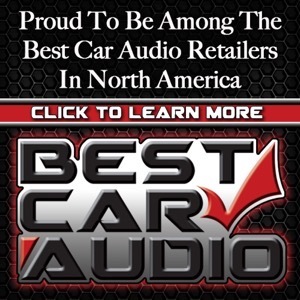 Their highly qualified and trained technicians have year of audio calibration and tuning experience that allows the added equipment to be tailored for optimum sound quality in your specific vehicle. For many classic and pre-technology era vehicles, an in-dash stereo replacement may be appropriate. Kingpin Car & Marine Audio offers only the best quality, technology forward in-dash aftermarket head units so that your vehicle can achieve modern technology features with a thoughtful in-dash upgrade. 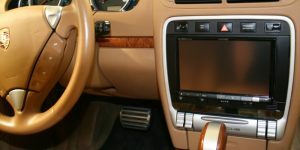 Whether it’s an in-dash DVD player with onboard GPS navigation and multimedia (USB, SD card) inputs or a tastefully chosen and installed ‘hidden’ unit for a classic or hot rod client who enjoys great sound, but wants it out of sight, Kingpin’s talented and creative installation technicians have a solution for you. 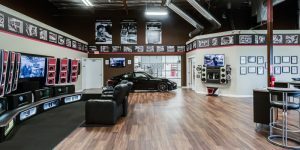 Visit their comprehensive on-site sound room and experience their demonstration vehicles to gain a perspective on just how fantastic adding an up-to-date aftermarket head unit can change your entire driving experience. A subwoofer is the foundation of any car audio system’s capacity to entertain the listeners. Without an optimized enclosure, a subwoofer is merely a large diameter speaker making noise. Kingpin builds 100 percent of their subwoofer enclosures in house. This ensures a perfect fit, every single time. The requirements for internal airspace, the external finishes to blend with the trunk or interior and the size or quantity of subwoofers is something that will be unique to each and every client. Rather than a one-size-fits-all approach, Kingpin’s expert installation technicians opt for the fit and finish of a ‘build to fit’ philosophy. This means they can fit subwoofers in locations that best integrate with your vehicle, the way you use it and with the level of audio performance you expect. Metal Mounting Racks – All amplifiers, signal processors and other audio ‘black boxes’ are typically mounted to a metal structure fabricated by Kingpin’s expert fabrication team. This approach allows a factory-like efficiency in serviceability of equipment and preservation of the vehicle’s existing chassis and sheet metal. Service Loops – Any aftermarket wiring completed at Kingpin has service loops for convenient access and service of the equipment without having to disconnect it. This attribute is especially useful for allowing the audio system to remain operational while both calibrating and tuning, or if any troubleshooting is necessary. It’s a small, but critical detail that many clients will never see yet allows Kingpin’s technicians to respect the time of the client without unnecessary delays. Soldered Connections – Kingpin solders all wire-to-wire connections with heat shrink tubing or UL-rated electrical tape to ensure longevity and lasting performance in all weather conditions. It’s no secret the rain and moist weather in Oregon can wreak havoc on copper wiring in a car. With Kingpin’s connection methodology, you need not worry. Extensive use of Composites – Kingpin’s fabrication regimen utilizes advanced materials in areas where inclement weather or solar exposure is a concern, such as an interior panel or inside a door. Advanced plastics, high-strength fiberglass and other advanced composites are frequently chosen to form speaker adapters, subwoofer enclosure panels and perform integrated dashboard modifications. Testing and Validation – Kingpin’s installation technicians test and validate segments of the audio system installation as it’s completed so that when the whole project comes together, there are no unexpected failures, surprises or time-wasting issues. This approach of regular testing and validation along the way ensures Kingpin is respecting the client’s time. 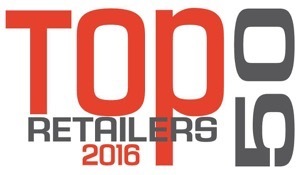 A client is the core of Kingpin Car & Marine Audio. 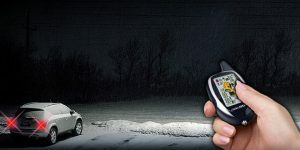 As such, they spend the time it takes to educate and inform the clients about their possibilities for enhancement of their vehicle’s audio system, as well as a thorough presentation and demonstration after the installation is complete. It’s something few people consider until they feel on their own to process the vast information of all the latest technologies. At Kingpin, their thoughtful experts make it easy. Kingpin Car & Marine Audio have a philosophy and approach to enhancing a car’s sound system that will leave you wondering how you’ve lived without this luxury in life. Your time behind the wheel is precious. If you are a music aficionado, you’ll appreciate the results that Kingpin’s amazing installation team produces. If you’re just a fan of music and enjoy great sound, you’ll become a fanatic with a Kingpin-installed audio system to enjoy at the turn of a key and the touch of a button. Remember, at Kingpin car audio installations are done only one way; the RIGHT way!